A light, tender protein that cooks in 5 minutes or less?! It may sound too good to be true, but these scallops are the real deal! I love how they taste so light & summery over a giant fresh salad- yet can fill you right up on a chilly night, served over creamy Butternut Squash Cauliflower Risotto or with spaghetti squash in my Creamy Lemon Garlic "Pasta" with Scallops. Scallops are a tricky protein- they're easy to overcook. 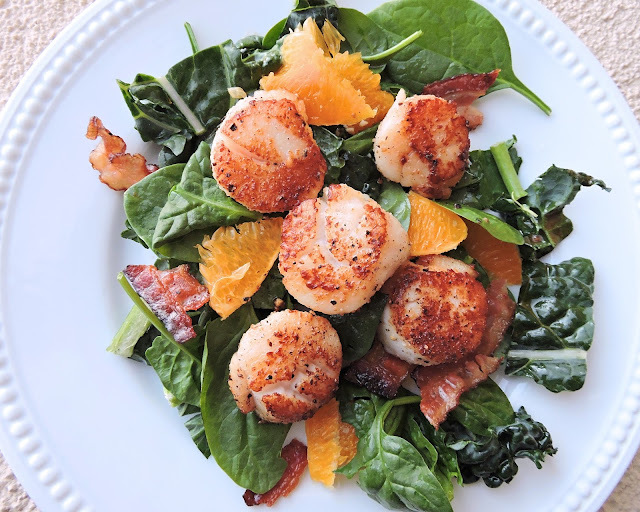 The best way to foolproof, perfectly seared scallops every time? Keep it simple. Dry them thoroughly, dust with a little flour (I used coconut flour) to absorb any extra moisture, and season with S & P. They sear up to a perfect golden brown so quickly, you're best off cooking these babies as the last step before dinner. 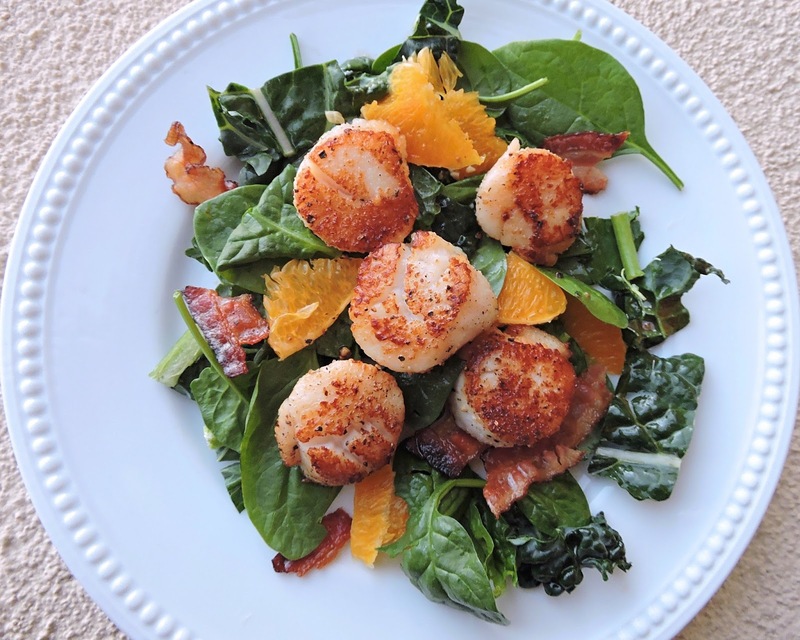 Enjoy this quick & easy method for seared scallops, and let me know in the comments how you serve yours up! Pat the scallops dry with paper towels, absorbing as much moisture as you can. Add the oil or ghee to a large sauté pan or cast iron skillet, heated to medium high. Lightly dust the tops of the scallops with coconut flour. Season with salt & pepper. Add the scallops to the pan, seasoned side down, making sure they don't touch. Season the other side with salt & pepper. Sear the scallops for about 2 minutes per side, until golden brown. Serve hot!